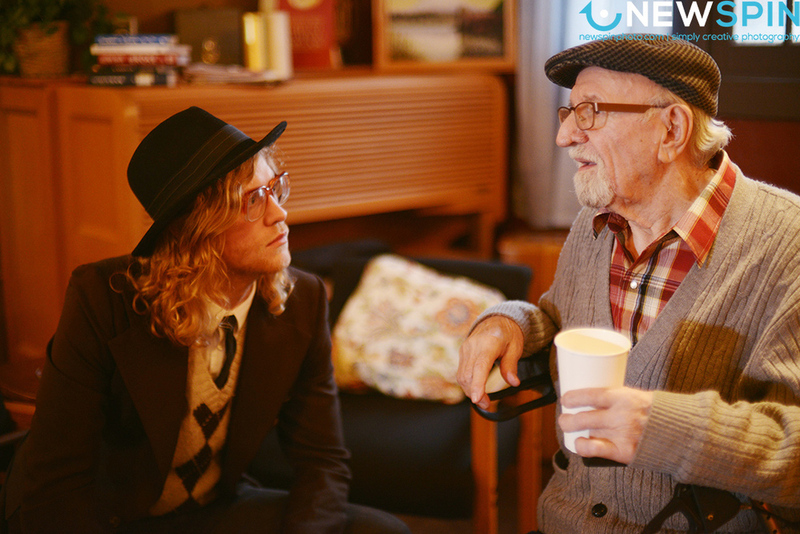 We recently had the pleasure of working with incredible director Jon-Jon Augustavo, shooting behind the scenes for Seattle musician Allen Stone's new music video! There was an amazing team around Jon-Jon that day to help make the magic happen. Producer Honna Kimmerer did a top notch job coordinating the day on set. 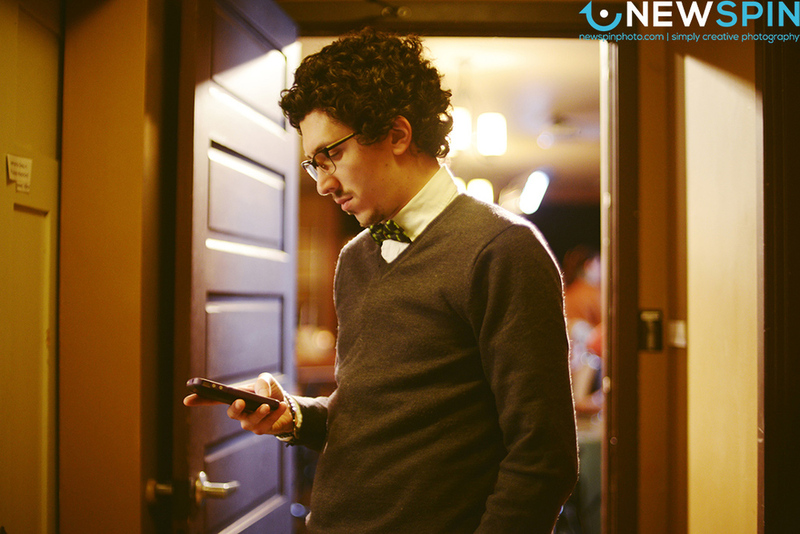 Assistant Director Adam Leeman was fantastic at keeping things moving and the energy up throughout the shoot. Finally, Lauren Fejarang did a knock-out job of transforming the basement of the Freemont Abbey into the coolest retirement home you've ever seen! Allen & the band brought a really cool vibe to the day, dressed in their Sunday best. 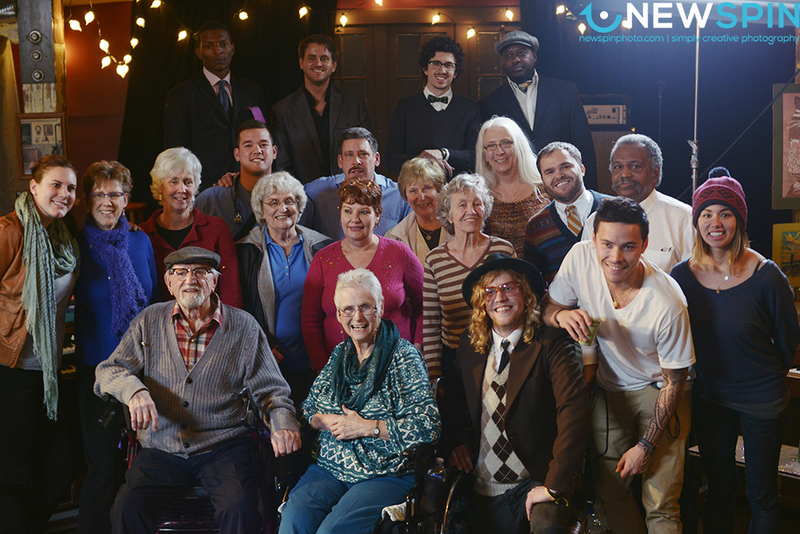 There were many "older/wiser" extras on set that had a blast dancing and singing to the music; many of them told us it was a real highlight to be involved in the project. It was very heart warming to see plenty of smiles and laughter on set while filming Celebrate Tonight! Keep your eyes peeled for Newspin Films' behind-the-scenes video which will be dropping soon, and take a look at these shots to get a preview of our day!